Jack Butala: Welcome, Brie Schmidt. Brie is a real estate broker, investor, and landlord, and founding partner of Turnkey-Reviews.com. Brie started purchasing investment properties in 2011 and currently owns and manages a rental units in Chicago and Milwaukee. She opened her own brokerage company and now works with investors to start or build their own portfolio. In 2015, she launched Turnkey-Reviews.com which is a one stop shop for turnkey buyers. The site features reviews of turnkey providers, articles, properties for sale and a podcast interviewing buyers about their experiences. Welcome, Brie. Brie Schmidt: Thank you for having me. Jack Butala: Hey, share with us please your business model. Jill and I are super intrigued. Brie Schmidt: Well, depends on what part. I technically think I have three different businesses. I’ve got the buy and hold properties which I self-manage our Chicago portfolio. Then I hire out property manager to manage our Milwaukee portfolio. Then I have my brokerage business in both states. Then I have the TurnKey Reviews site. Those are the three kind of area that I involve myself in. Jack Butala: Which one is your favorite? Brie Schmidt: That’s a hard one. I like them all. They’re all interesting. The good thing about each of them is they’re somewhat tied to each other, so there’s a cohesiveness involved. Then they’re all kind of different. 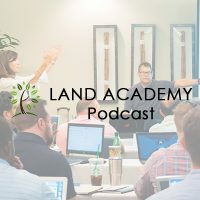 Whether I’m representing clients here in Chicago, or dealing with my properties in Milwaukee, or hosting my own podcast and managing the website, I’m pretty much spending 90 percent of my life talking to real estate investors. That’s fun. I get ideas from everyone else and different … Being able to talk with investors all day long, you get to kind of take nuggets from what they say, and then apply them in your business, which I find very interesting. Jack Butala: What’s the biggest question you get from a potential investor? Brie Schmidt: Mainly it’s about the market. What’s the market like? What kind of returns can I see? What are the pros and cons of investing in this type of area? Because I do Chicago and Milwaukee, those are both two very different markets, so they each have their pros and cons. I like both markets, and I wouldn’t trade one for the other. It’s really understanding what are your goals and what are you looking to accomplish, and then what market is going to really best fit those needs for you. Jack Butala: As I understand your model, you guys either buy or control, let’s say, a house, clean it up or maybe not clean it up. Do you get it rented out and then offer the whole package kind of as a turnkey investment to somebody who just doesn’t want to get involved in all the details? Brie Schmidt: I don’t sell turnkey properties. With the TurnKey website, we are a disinterested third party that allows people to review their turnkey providers on the site, but we have no involvement whatsoever with actually marketing, selling or doing anything with turnkey properties. We took that position specifically because … It all kind of started with my partner who has funded a bunch of turnkey providers. He has been involved with the turnkey industry for a couple of decades, I believe. He and I both had people reached out to us constantly for advice on either our local market or other market just based on our experience level. The reality is 90 percent of turnkey providers are fantastic, and people have great experiences with them. The other 10 percent, you hear these horror stories of people having their money taken, or they buy a house and they lied about the renovations, or they bought in a bad area and now they’ve got six, seven, eight months of vacancy. The purpose of the site was to allow people to review what their experience was like and for people to be able to do their due diligence and start with providers that are reputable. Jack Butala: Do they buy into this service? Brie Schmidt: For the turnkey service? Jack Butala: Does the company that … Does the turnkey company, do they pay to be on your site? How does it work money-wise? Brie Schmidt: Currently it is a free site for everyone involved. 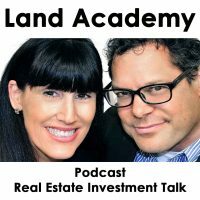 It will always be a free site for the buyer to go either read the articles, listen to the podcast, search the properties or engage with the different turnkey providers. We have not launched a revenue model yet on the turnkey provider side, which will be coming eventually. Jill DeWit: That’s cool. It’s really just a service that you’re providing for someone to share their experiences or somebody else to know, hey, they’re good, they’re not good, whatever kind of thing. Brie Schmidt: Exactly. That’s why we wanted the site to be … We’ve got different … They’re able to be rated on like quality of rehab, communication, how they deal with the tenants. Some people are very strong in some areas and then weaker in the others. It gives the buyer an opportunity to read through the actual reviews and see, “Okay. These are some of the pitfalls are,” so that you kind of know going into it what to expect. Then that’s what I also do on the podcast when I interview the buyers is mainly talking about their experience. How do they find the market? How do they find the turnkey provider? What are some questions they wish they would have asked in the beginning? Looking back now that you’ve owned them for a while, what are some downfalls that you can share with other people to help them not make the same mistakes that you did? Jack Butala: You’re like the Yelp of passive real estate investors. Brie Schmidt: That’s exactly what we’re looking to do, yup. Jill DeWit: I love it. That makes sense. That’s great. Brie Schmidt: [crosstalk 00:05:49] answer. That part of the joys of being a disinterested third party is we cannot make any sort of personal recommendations about these companies. That’s what the site is for. Jill DeWit: I just [inaudible 00:06:04] how often do you go to the site, and you’re kind of looking around and you go, “What the heck? Somebody really did that?” Kind of thing, I can imagine. Brie Schmidt: Yeah. That’s why we did the site. I got a few emails. Jay was getting them once a week. It was buyers from Australia or buyers from out of the country that don’t have the access to come visit these markets. They were sold on this great idea of turnkey. They were buying these houses in D areas. The pictures were taken to show only the good stuff, not the bad. People lost money. That’s why we wanted to create the site as a way … We always had … If we never profit from this, that’s perfectly fine with us. That was never the intention for us. It was more of a place where … You know what? These people are kind of lost and need somewhere to start. What a better … What would be a better place than to start with reading people’s actual experiences with these companies. Jill DeWit: Do some of that companies, do they know that they’re on there? Jill DeWit: When I go and put my thing like, “Hey, I just had a [stoner 00:07:14]. This is the new person in my area. I had a fantastic experience I want to share with the world.” I put it on there. Then somehow they know that I did that kind of thing? Brie Schmidt: Yeah. Most of them, we do have two different levels on the site of TurnKey Providers. Some are what we call feature. They’re not feature. They’re verified. Those are people that we’ve spoken with before. We set up their profile because if you don’t reach out to us, you just have no logo, no website. You’re not linked to any of your social media. Once we work with someone and they get set up for the site, it links to all their social media, their website. Their logo is added to it. Their bio is added to it. Then they are aware that they are getting reviews from the site. Jill DeWit: I like that, too, because it makes them a little more accountable with what they’re doing, too. I think that’s awesome. Everybody wins. Brie Schmidt: Everybody wins, exactly. 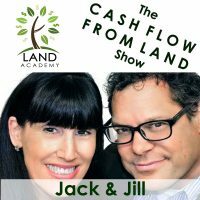 Jack Butala: Our business model is that we purchase land as inexpensively as possible like unwanted, vacant, rural land. We’ve been doing it since the ’90s. We’ve completed almost 16,000 deals right now. We buy for as cheap as we can. We either resell it on terms, or we resell it for cash. Now, we have a pretty large membership base. We’re teaching our members to do the same thing. Is there any place for our members in that business model on this website? Brie Schmidt: Only if they were selling properties with property management teams in place because that’s really the turnkey model. The benefit of buying turnkey, why people do it, is generally they’re busy professionals with full-time jobs either living in markets that don’t cash flow what they’re looking for or just don’t have an interest in being a full-time real estate investor. They generally buy properties in Midwest Texas, Florida sort of areas and are completely hands off because there’s already a rehab team in place. There’s already a leasing team in place. There’s already a property management team in place. They just pay them to manage the asset. Sometimes never even visiting the city that they’re investing in. Jack Butala: It needs to be all … The team has got to be in place. It needs to be either rented or sold. There needs to be cash flowing, right? Jack Butala: In your spare time, what do you do? Brie Schmidt: What spare time? That’s a really good question. I don’t know yet because we haven’t … I’m the kind of person when things get … When there’s a lull in my life, I just seem to find something else to do with it, which is kind of a problem. I was working full-time up until July of 2014, which is when I quit my job, to do real estate full-time. We had just purchased our first set of properties in Milwaukee. I thought I was going to be needed a lot more up there to handle the day-to-day, and I wasn’t. Then a month goes by and I was just bored. I thought I would be one of those relaxing people that could sit in the café and read a book during the day. I’m not. I started the brokerage business to help with my time. Then that started taking off. In Chicago, in winter, our real estate business slows down big time. We probably do 15 to 20 percent of the volume during the winter months than we do in our normal peak months. It was at that time when, last December, things had slowed down for me. I really didn’t have much to do. We had just completed our second acquisition in Milwaukee. We weren’t planning on anything until the next quarter. That’s when I was approached by my partner with the TurnKey site. I then used that to focus my time on. I haven’t really had downtime since. When I do have spare time, my husband and I both love to travel. That is kind of the reason why we’re even involved in any of these in the first place is so that we could travel and go to places that we wanted to go and take off more than our one week vacation that we get from our corporate jobs every year, you know? Jack Butala: Yeah, that’s why we’re all doing this so we’re not tied down. Brie Schmidt: I know. It’s hard. My husband just joined me in the business. Actually last week was his first official week of being self-employed. Now, we’re planning a couple of trips moving forward, trying to figure out where we want to go first. Not having that, not worrying about the PTO time, that’s a new thing for us because he was always tied to what his company would allow him to do. Jill DeWit: That’s fantastic. Does he, on paper, work for you, Brie? Brie Schmidt: Not necessarily, no. He and I are both co-owners of our buy and hold portfolio. I am the sole owner of our brokerage business, and then I have a partner with the TurnKey reviews website business. We haven’t really figured out exactly yet where he’s going to fit in. He’s been working the same job for the same company for 10 years, so he’s taking a complete break off the winter. Then we’ll kind of reassess things in spring. Jill DeWit: All right. You run into some of the things that I do I’m sure. Isn’t it interesting sometimes when you’re out, if anyone ask what you do and it’s … I’m going for the woman thing. I get looks sometimes when they’re like … When I talk about what I do. “You’re a girl.” It seems like there’s more men, right? Brie Schmidt: Very much more. Brie Schmidt: I’m such a brash person that I don’t … I’m not very forgiving when it comes to business. If I ask you to do something, I expect it to be done. If you’re not going to do it, I’m going to fire you. It is simple as that. I’ve never really had too much problems with being a female in this industry because 99 percent of the time once someone meets me and spends five minutes understanding me, they know that I’m there to do business and that I don’t screw around. I really haven’t had too much problems with it. You definitely get people that makes side comments. I’m in my early 30s. I’m pretty young, too. I always get comments about, “Are you even 30 yet? Can you drive a car?” It’s just like, “Sure, buddy. Ask me again in five years when I’ve completely done better and grow my business better than you have.” It’s just insulting sometimes. Jack Butala: How many people have you fired in the last four months? Brie Schmidt: My biggest firing was I fired my property manager about three weeks ago. He ran 72 units for us. It was a very big decision to have to make but it needed to be done. It was very difficult because he and I were very close. We weren’t just business associates. We were also friends. It is what it is and it had to be done. We’re all moving forward from it and maintaining our relationship. Jack Butala: Do you know karate, Brie? Brie Schmidt: I do not. I want to take karate though. I want to do kickboxing, but I don’t have time. I don’t have time.